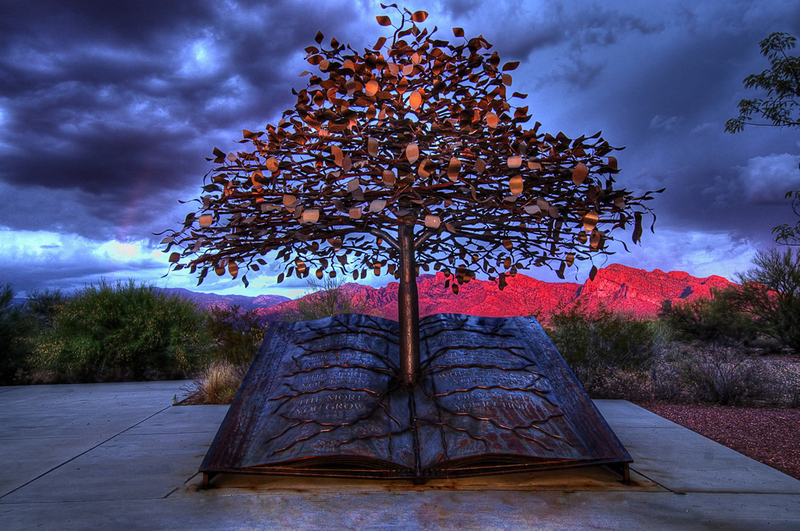 "The Tree of Knowledge" sculpture in bronze at the Oro Valley Public Library (Oro Valley, Arizona). As we press forward on every front to realize a flexible world order, the role of the university becomes even more important, both as a reservoir of ideas and as a repository of the long view of the shore dimly seen. 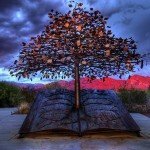 Today a world of knowledge—a world of cooperation—a just and lasting peace—may be years away. But we have no time to lose. Let us plant our trees this afternoon. — John F. Kennedy in his address at the University of California, Berkeley Charter Day (Memorial Stadium, Berkeley, California: March 23, 1962). Available in Public Papers of the Presidents of the United States: John F. Kennedy; containing the public messages, speeches, and statements of the President, 1961-1963, Volume 1, (Washington, D.C.: U.S. Government Printing Office, 1962), p. 266. Complete audio recording available at The University of Virginia Miller Center of Public Affairs. Posted on behalf of John F. Kennedy on Sunday, July 18th, 2010 under Quotations.